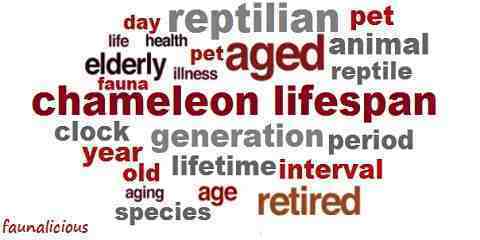 Chameleon Lifespan – How Long do Chameleons Live? 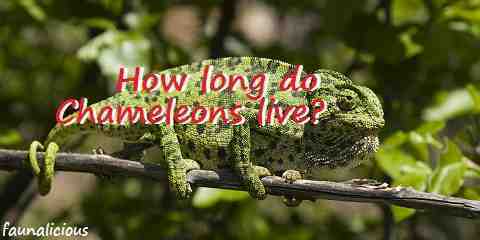 How long do chameleons live? The lifespan of this reptiles can differ, range from two years to twenty years. These reptiles are very unique since they have the ability to change their colors. Chameleons live in trees, bushes, or shrubs in a forest area. They have become one of the most favorable reptiles as a pet because of their unique features. But for a newbie owner, you should learn everything about a specific pet before purchasing them. Chameleons are good long companionships if you know precisely how to care for them because it can be a major factor of one’s lifespan. As a living being, chameleons also have a limited lifespan. In the wild, this color-changing reptile can live for 2 up to 3 years. But for chameleons that live in captivity and as pet, usually have longer lifespan than those which are in the wild. In average, they can live 3 to 10 years; some even can live up to 20 years. The shortest lifespan of chameleon is 1 to 2 years, which is Pygmy Chameleons’ lifespan. It is influenced by this chameleon’ size and its reproductive age; which they reach quickly. The longest is the Parson’s Chameleon’s lifespan that can reach up to 20 – 25 years. Gender of chameleons is one of the factors that influence the length of your chameleons’ lives. Male chameleons have longer lifespan than the female ones. For example, male Veiled Chameleon can live 7 to 8 years while its female will have less lifespan. This is because female chameleons have to go through mating, digging nest for their eggs and reproduction process that can happen multiple times; all of those are hard works and will shorten their lifespan. Stress can be a huge factor that can seriously reduce your chameleons’ lifespan. Chameleons are territorial individuals. If you put at least two males, they will, without a doubt, fight for the territory. The aggressive and intimidating behaviors one chameleon shows to other will stress the weak one and eventually shorten their lifespan. Putting two females is also not ideal for your chameleon sanity. Each chameleon species that is in captivity has different lifespan. Just like I have state above, Pygmy Chameleon has 1 to 2 years lifespan while Parson’s Chameleon can live up to 25 years. For Panther Chameleons, they have 3 to 8 years lifespan. Four-Horned Chameleons can live for 3 to 5 years and Veiled Chameleon can live for 3 to 7 years. 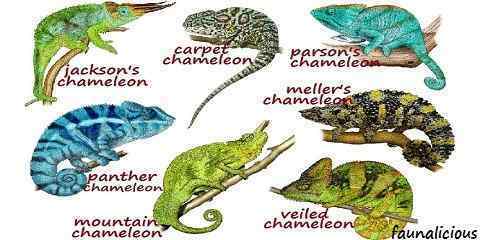 Other species such as Jackson’s Chameleon, Carpet Chameleons, Senegal Chameleon, and many more also have different lifespan. What do chameleons eat? As insectivores, these creatures eat a varied diet of insects. You need to take a good care for their diets, fresh water supply, plenty of space and safe environment. How you care for your chameleons will greatly affect on your pet chameleons lifespan.